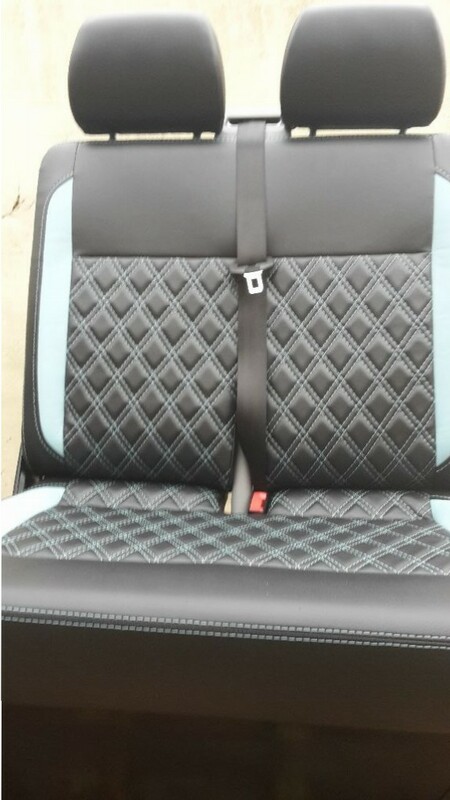 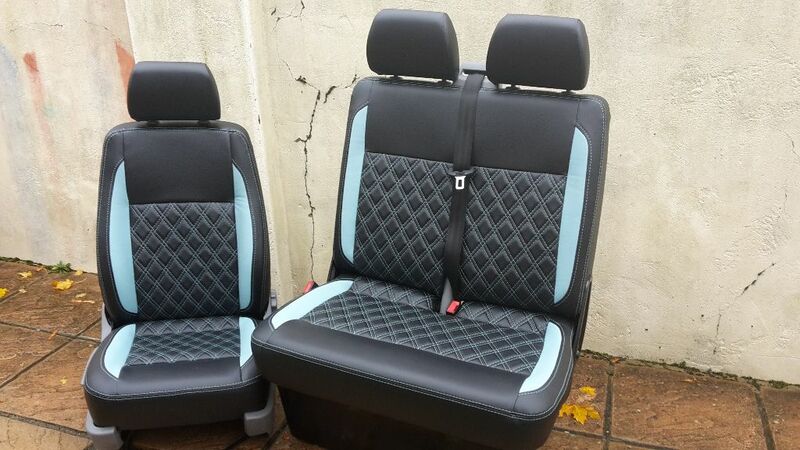 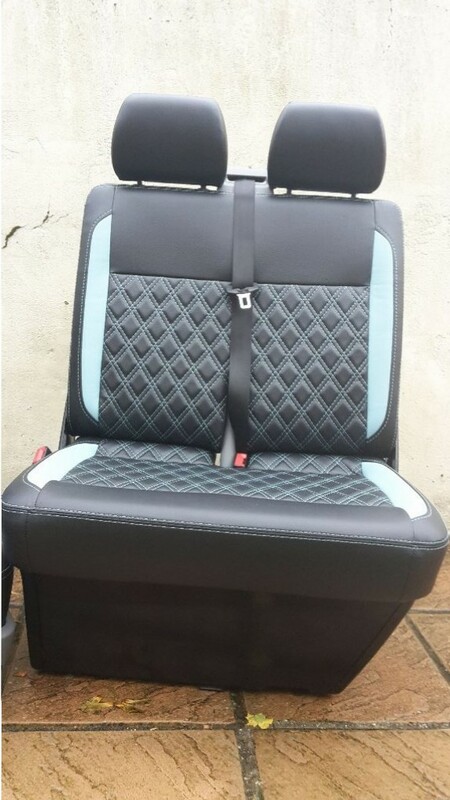 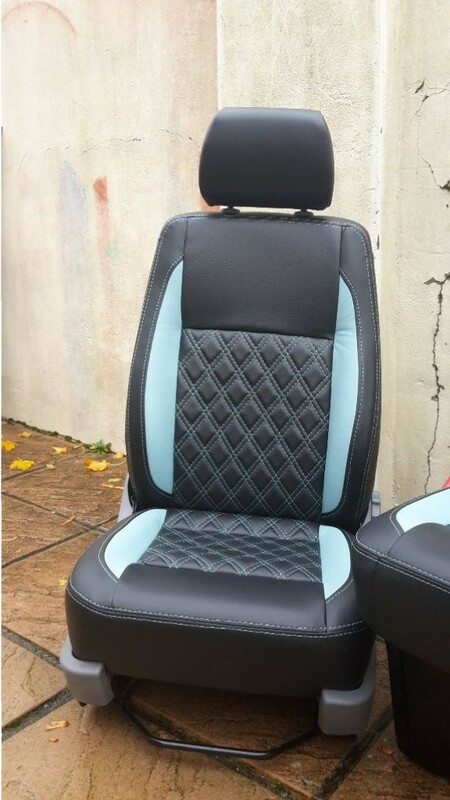 These lovely two front VW T5 Transporter seats have been upholstered in Black leatherette with Aqua Blue Leather insert panels. 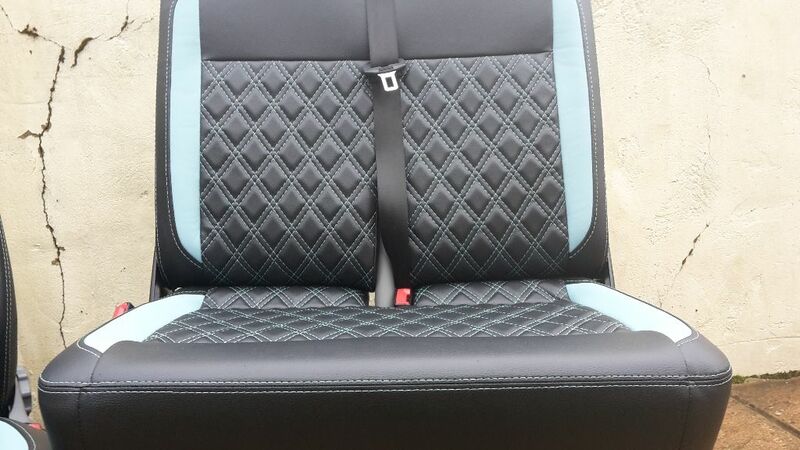 The centre panels are stitched with coordinating blue stitching in the Bentley diamonds style. 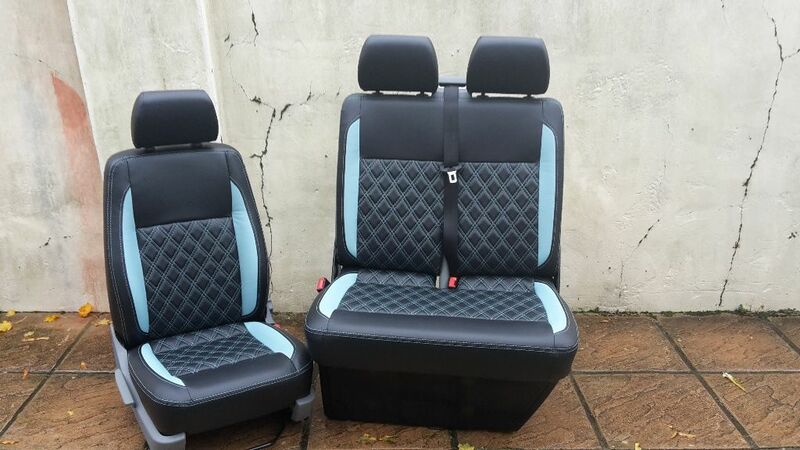 Our T5 seats are sold on an exchanged basis, we need you old seats. 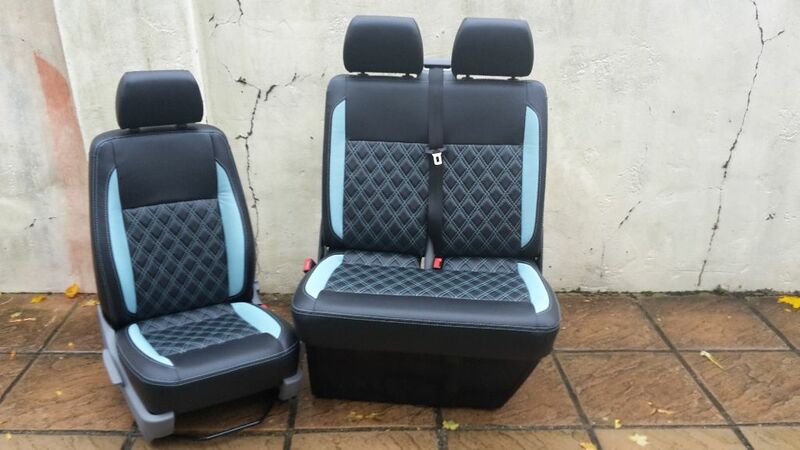 So just come along and we will remove your old seats and fit the new ones for you.